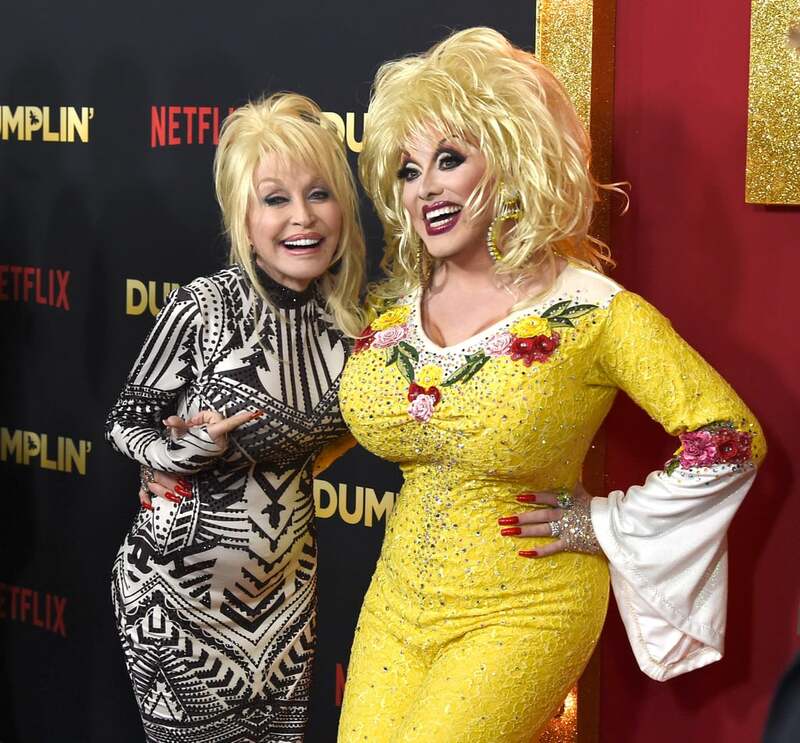 Dolly Parton made a rare red carpet appearance to celebrate the premiere of Dumplin', a new Netflix movie based on a book of the same name. Dolly, who recorded the soundtrack for the movie, was joined by the film's stars, Danielle Macdonald and Jennifer Aniston (who looked amazing in a black sequin minidress). The event also brought out drag queen and Dolly impersonator Jason CoZmo, who playfully posed with the real D.P. on the carpet — not only is the resemblance pretty uncanny, but I'm also really hoping they shared hair and makeup tips. Speaking of hair, Dolly had us all shook earlier this week when she debuted a sleek new look; how gorgeous does she look? The singer also had us in stitches when she dragged her longtime husband on national TV, and she gave us chills with her haunting new rendition of the classic "Jolene." 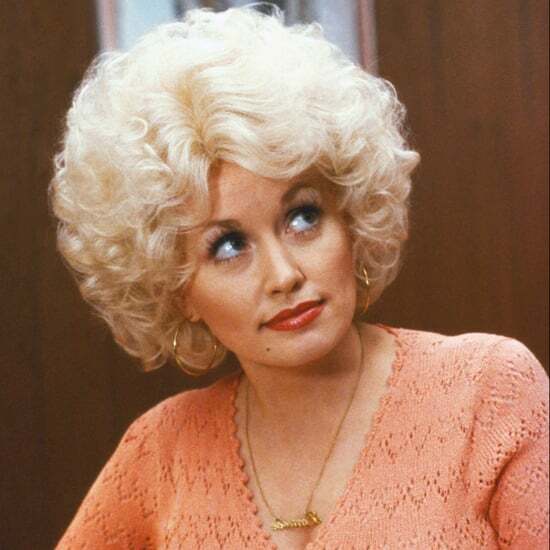 We're so glad Dolly's back on the scene in such a big way! Keep reading to see her twinning on the red carpet.